A quotation or referred to as “quote” is a formal presentation of promise by a certain supplier to produce the goods and services required by the purchaser. 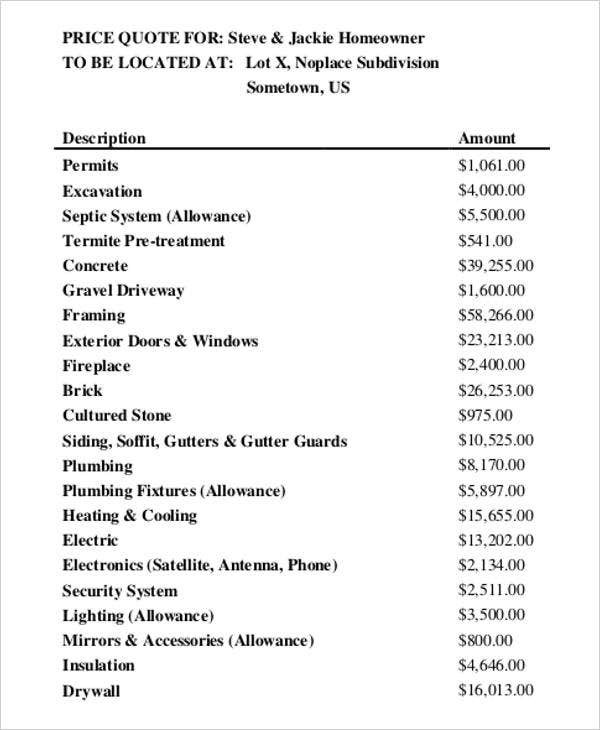 This included the prices of requested items, the total amount that is to be paid at a certain period of time. 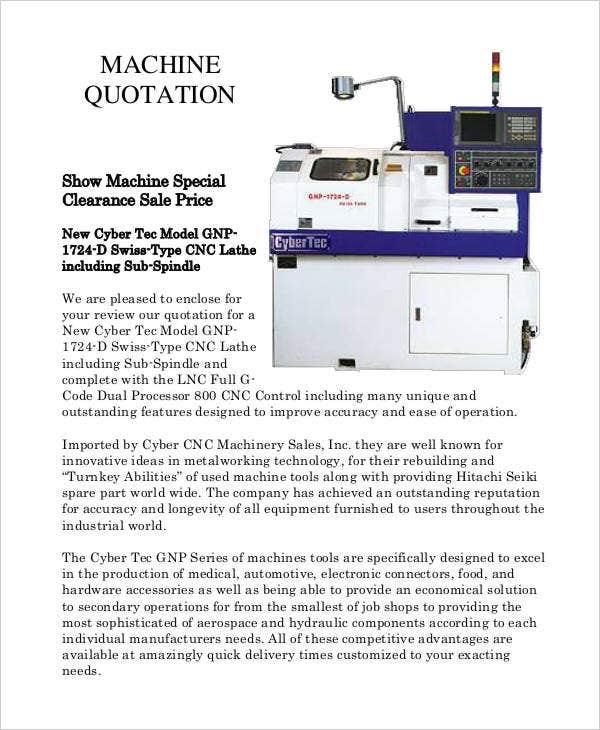 Sample Quotations may also contain terms of payment, delivery, discounts, and warranties. 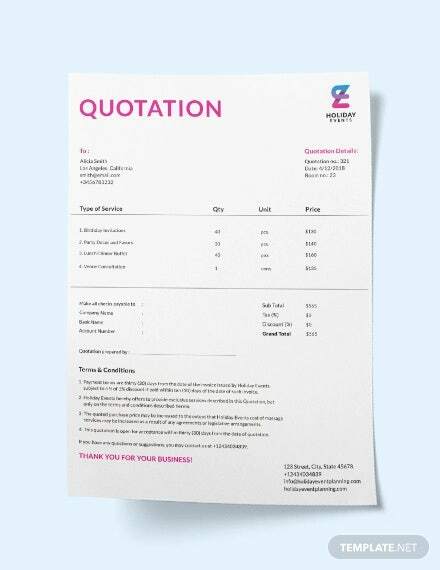 If providing quotations to customers is a regular task, why not make use of our quotation format templates in making your quotations? This way, it’ll be easier and more convenient for you. You can download a copy of these for future reasons or for offline purposes. 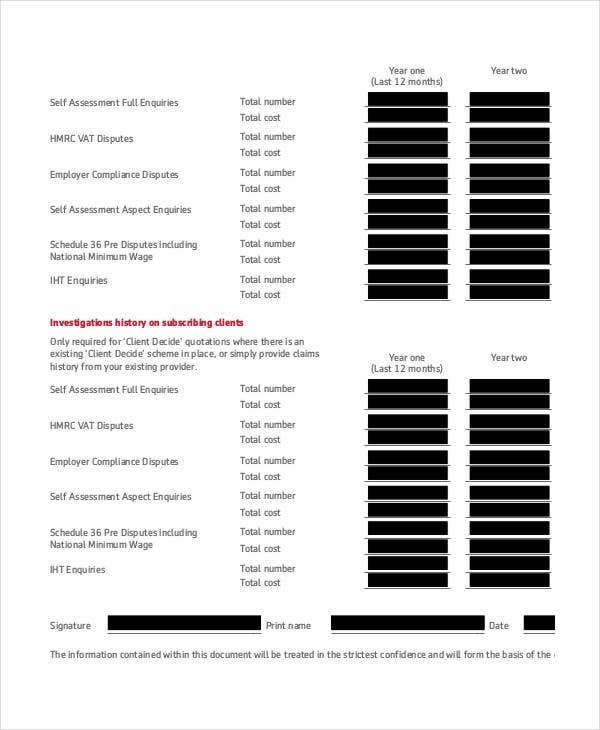 With these templates, it’ll be hassle-free undertaking! What Should be Included in a Quotation? 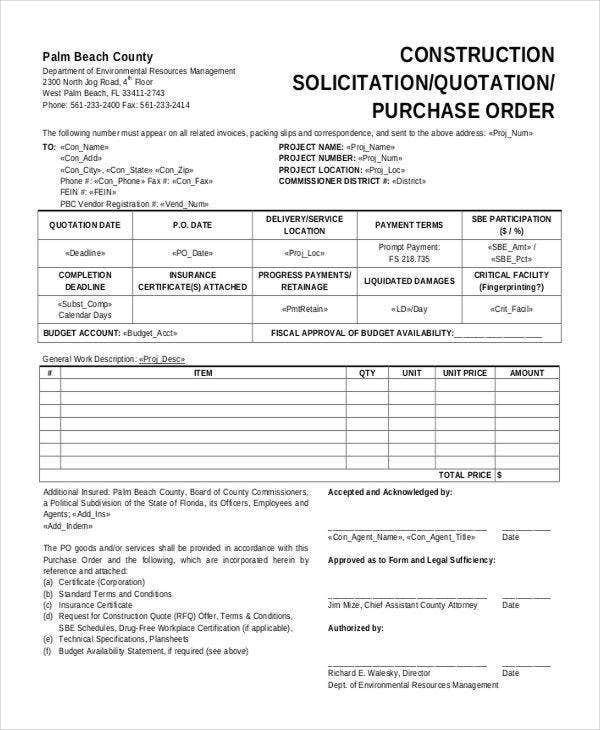 In order to show your professionalism in complying with the terms of business’s dealings and your responsibilities toward your customers or clients, having a presentable and well-crafted quotation is essential. This will also protect your business from any financial risks and legal disputes. 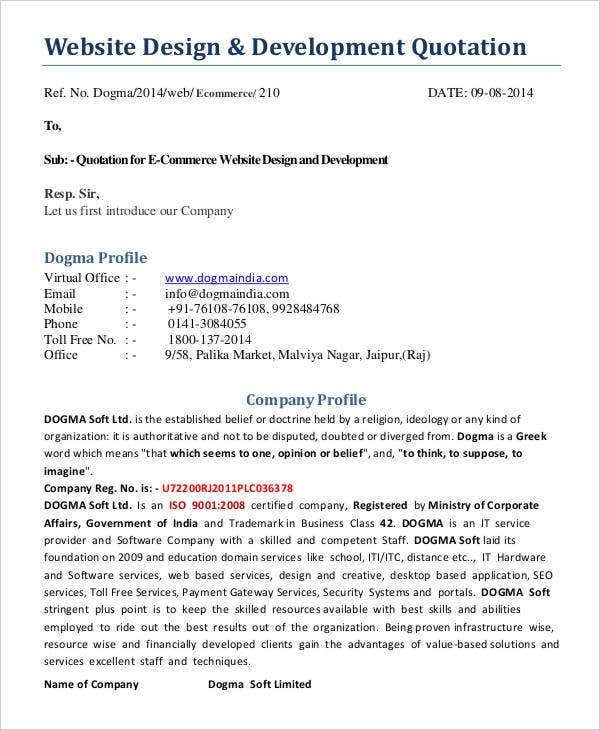 You may also check Business Quotation Templates. Details of Your Business – It is always great to make use of your company’s letterhead. And this will include information such as your name, address of your business, contact numbers, and a professional and active email address. 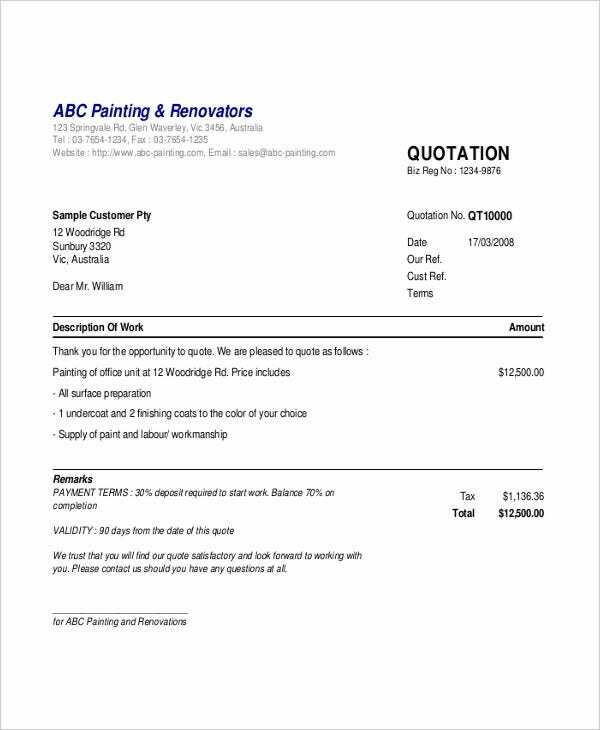 Your Number of Reference – Giving your quote a distinct reference number is important. By doing so, your customer and you are sure regarding which quote is under the discussion. When revising your quote or perhaps making a new one, reference number is useful. 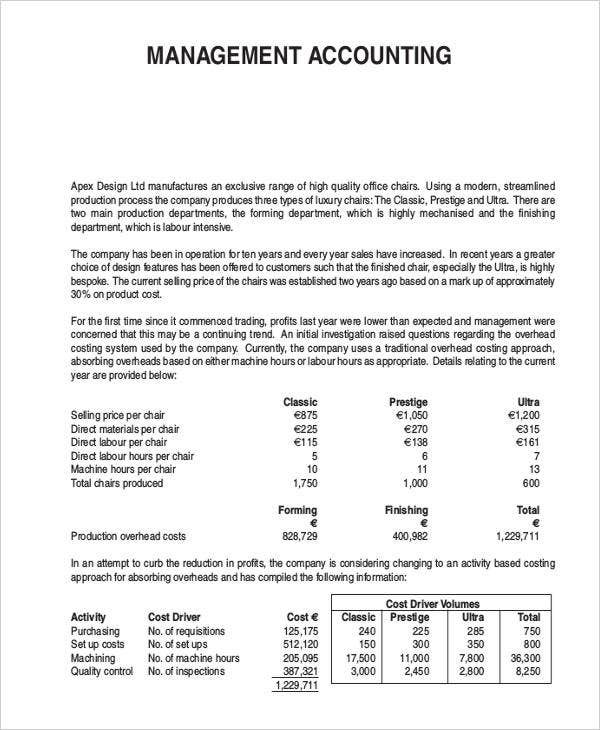 Total Cost and Job Details – You need to put the specific details of the job, as well as the overall cost of the service or the product.Illustrate what is not covered. 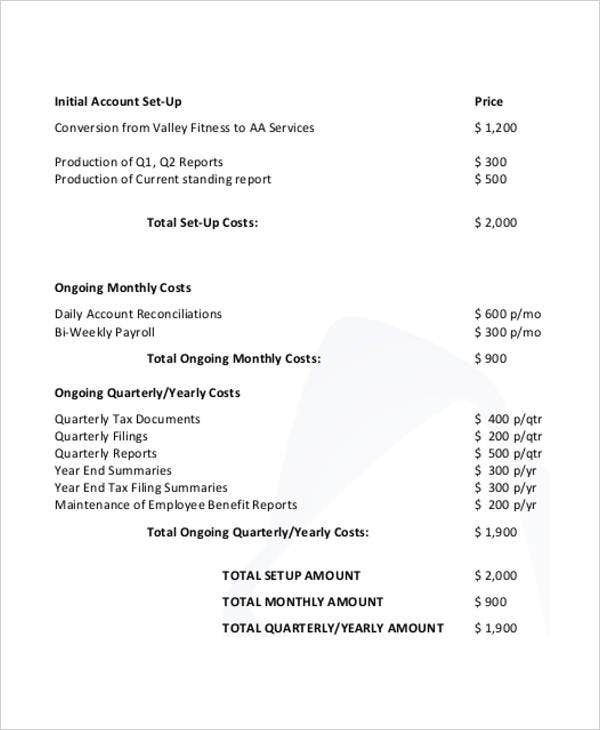 Costs Itemization – Stating the job proposal and outlining the elements included, it is always necessary to include a breakdown of all the costs. 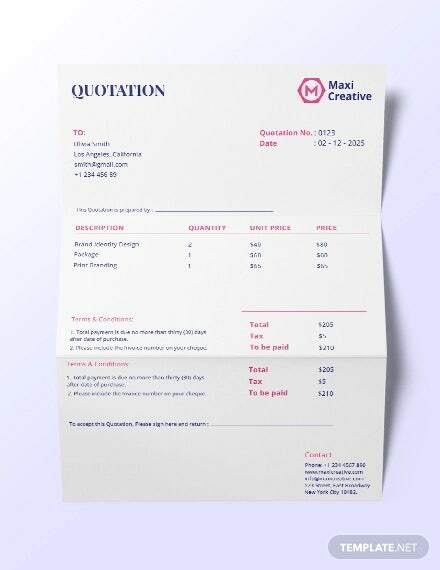 After all, what are price quotation templates without the prices. 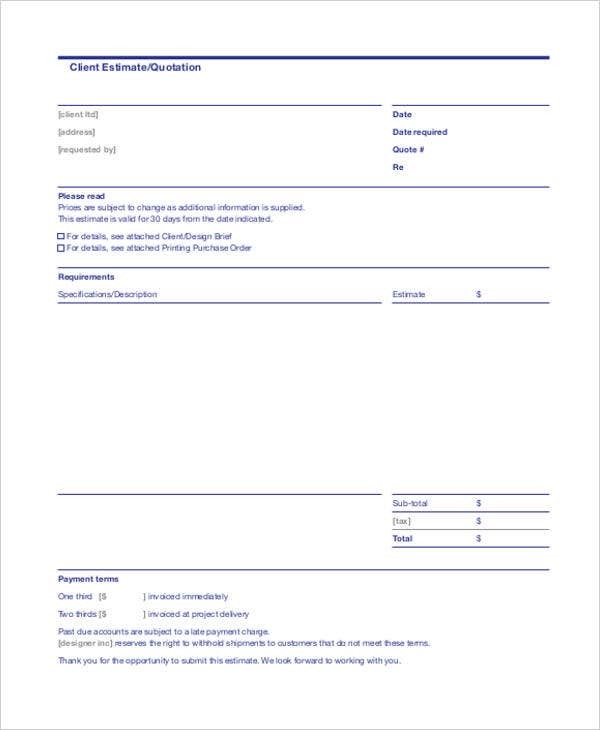 The Terms and Conditions of the Payment – This should also be included, indicating this when requiring payment. 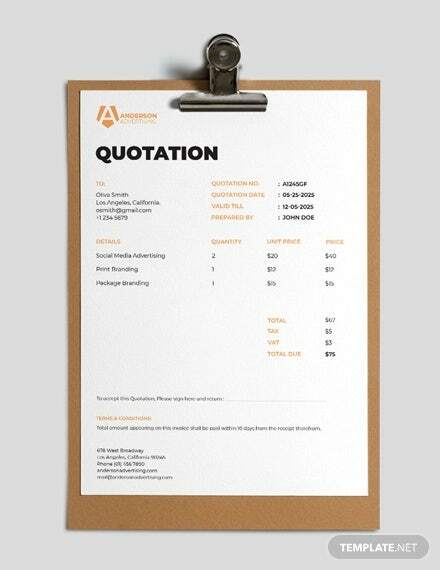 We have here a list of some of our sample quote templates. 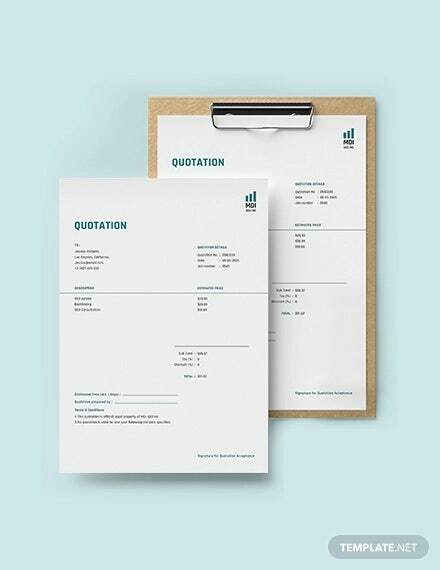 These are absolutely useful for your quotation making. 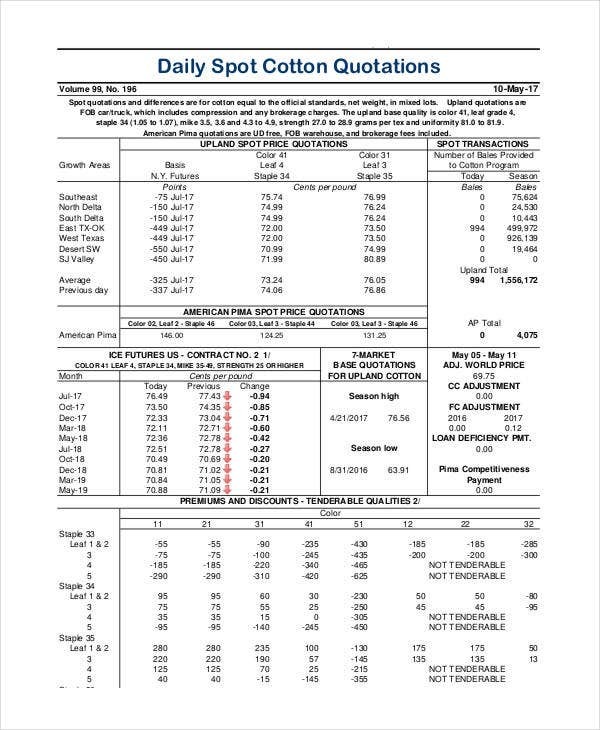 See below if you have something that fits what you need. 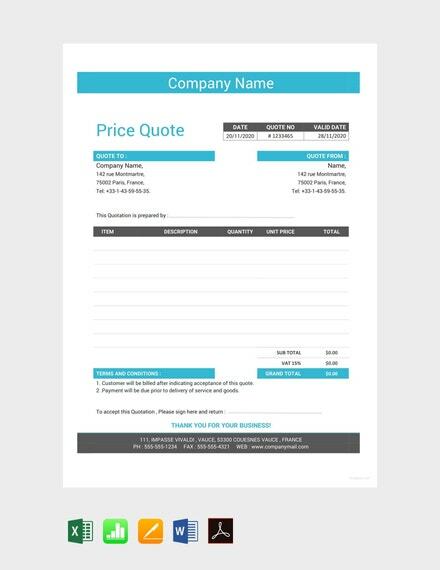 Price Quotation Sample – If you’re looking for a generic quotation that you can use for whatever product or service it is you are offering (or if you’re offering both), then you don’t have to look any further than these simple formal quotations. Ideal for any retail transactions that involve price statements and other related aspects. This is a well-made quotation, so it will be easier for you to just download and print a copy of it. 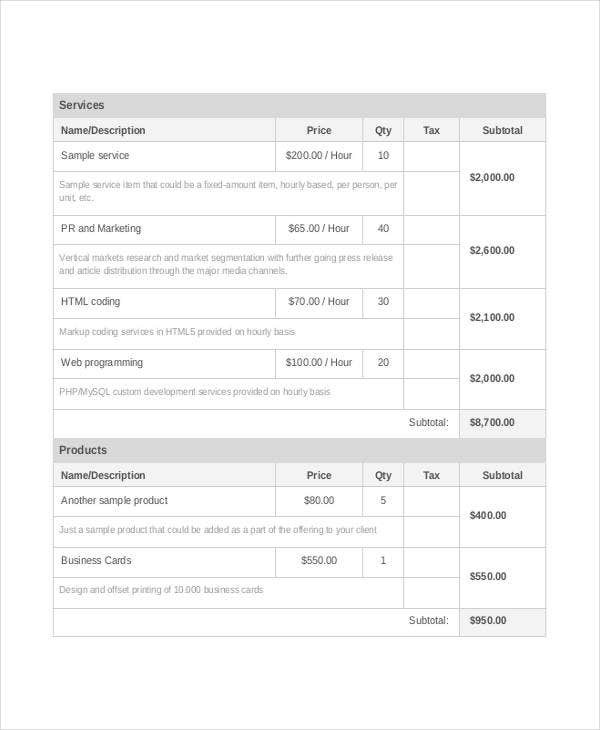 Website Quotation Sample – A great template that is designated for providing price information for certain website designs and development services. 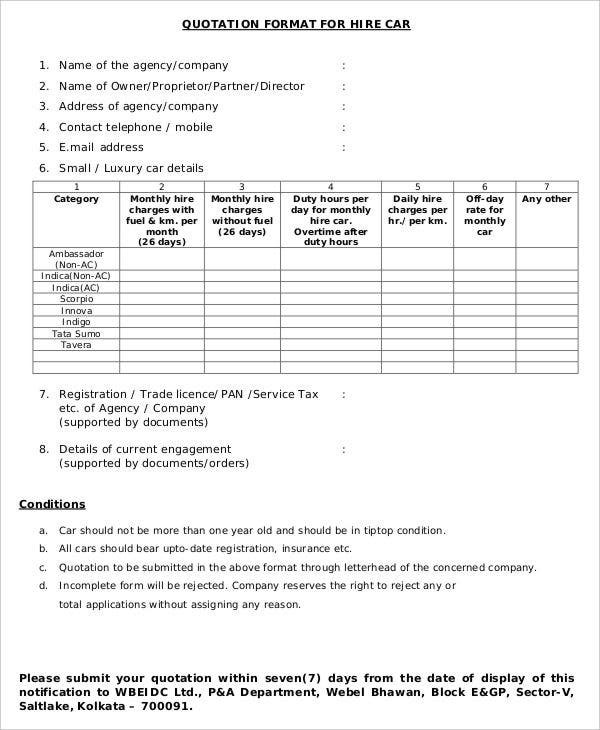 These are detailed in the affixed statement of work. So if you’re looking for one, then this template is what you need. 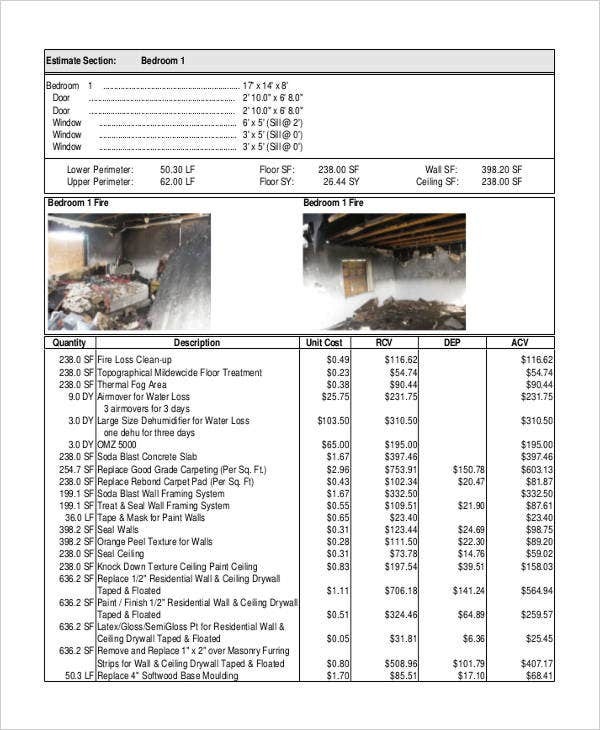 Construction Quotation Sample – Looking for a template that is intended for construction material and service prices? Then this template is a perfect fit. 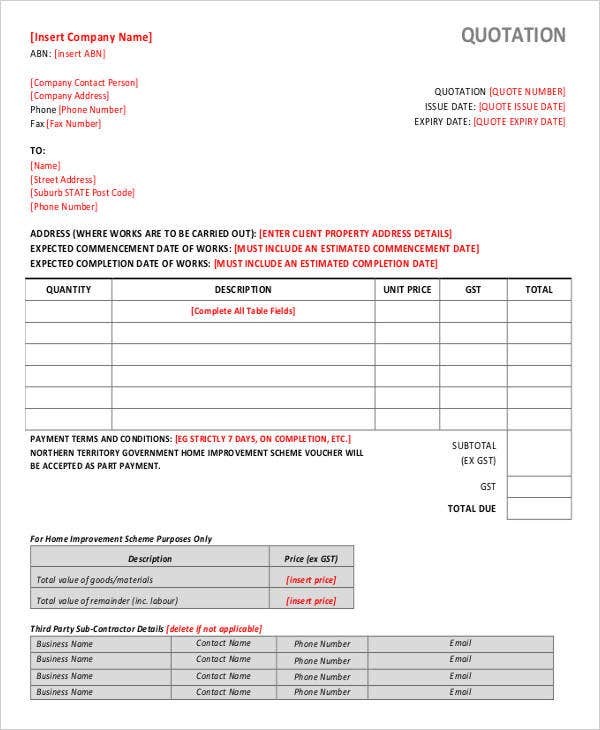 It contains all needed details that are required for a construction quotation. 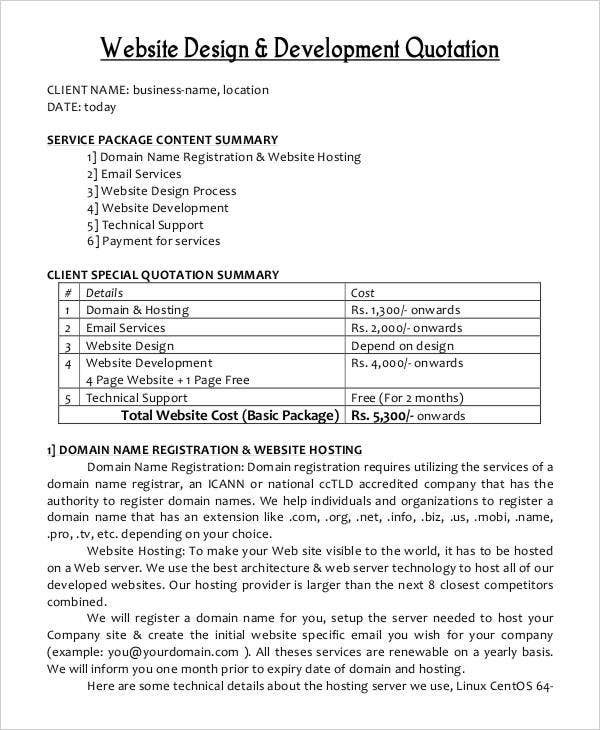 Client Quotation Sample – This is designed specifically for price details of goods and services that are given towards clients. This is also ideal for all transactions that involve potential customers or clients who purchase certain goods or services. 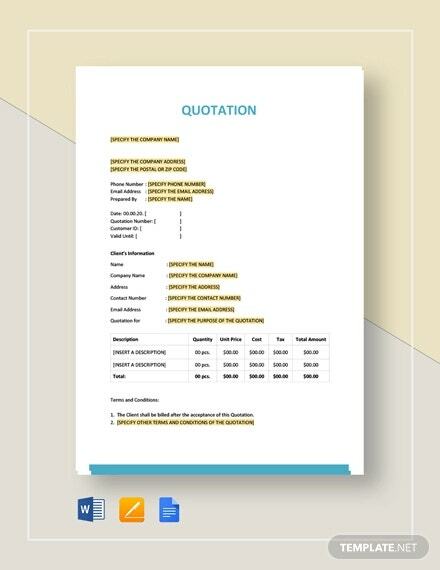 Business Quotation Sample – If you’re seeking a quotation that is intended for business transactions which involve business sales and certain prices, then this template is what you need. 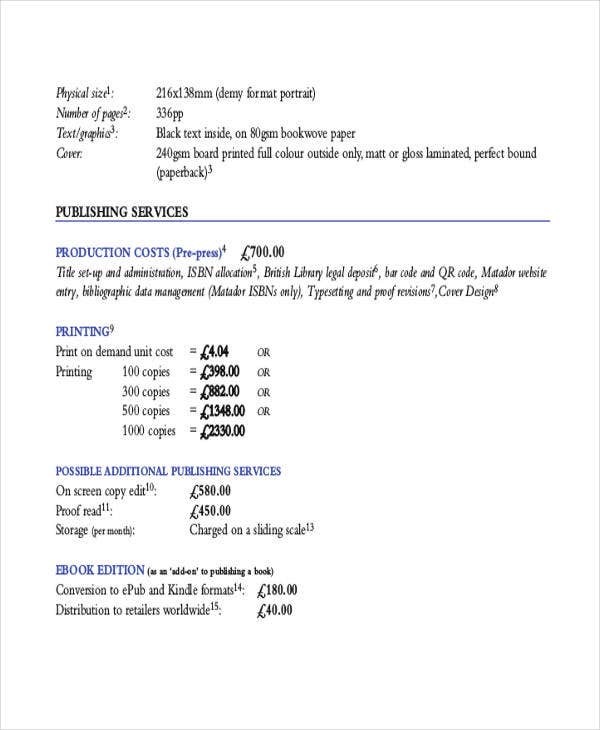 A complete and well-formatted quotation that will surely be of great help in your business dealings. 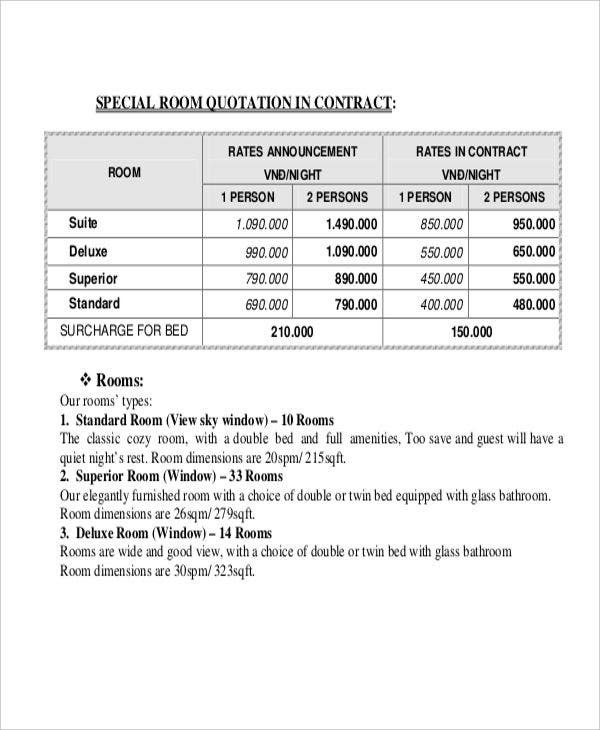 Hotel Quotation Sample – This quotation is designed for hotel service prices and other related elements. If this is what you need, might as well download this template. For a more convenient way of making a hotel quotation. The following are the common types of quotations that are being made based on certain transactions. 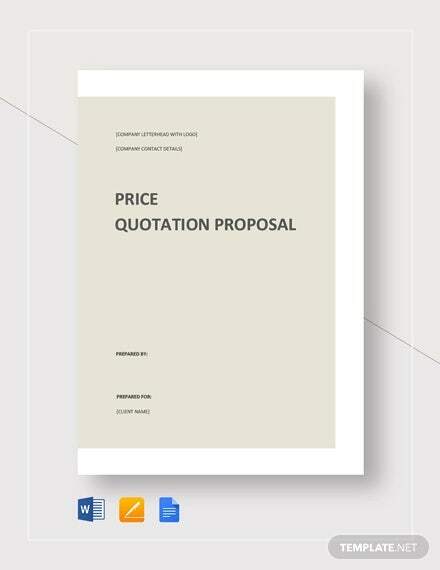 Cash with Order Price Quotation – With this quotation example, the purchaser has to send the cash together with the order or else, the order may not push through. 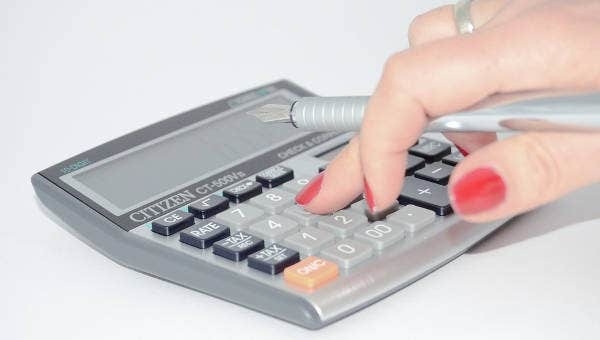 Cash on Delivery Price Quotation – This is a type of quotation you can use for situations in which a buyer needs to pay a certain amount of cash after receiving the delivered goods ordered by him or her. Free Alongside Ship Price Quotation – This is a type of quotation that includes the cost of the products and all the expenses incurred in delivering the products at the harbor that is nearby the seller’s location. 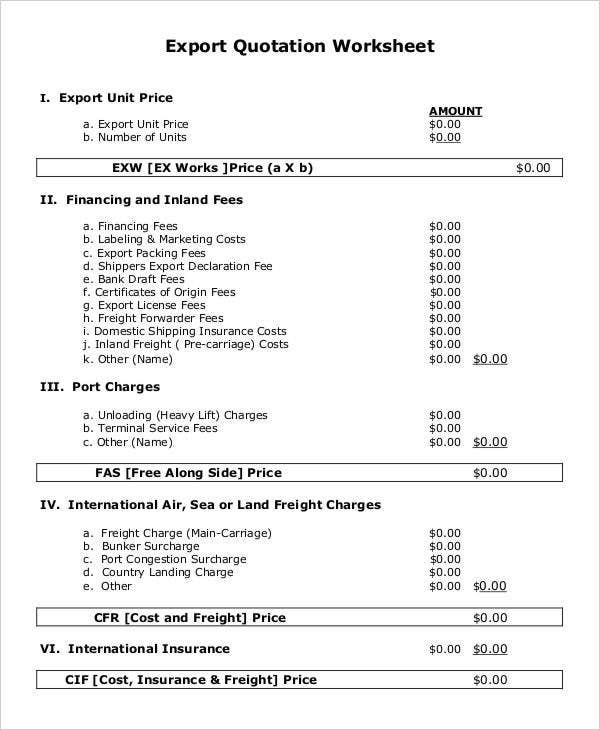 In this, the buyer needs to shoulder the expenses of loading, insurance, customs, and freight. Free On-Board Price Quotation – A type of quotation that is designated for inland transactions. A common example is foreign trading. In this, the seller will quote the price including the expenses acquired until the goods are delivered on board. 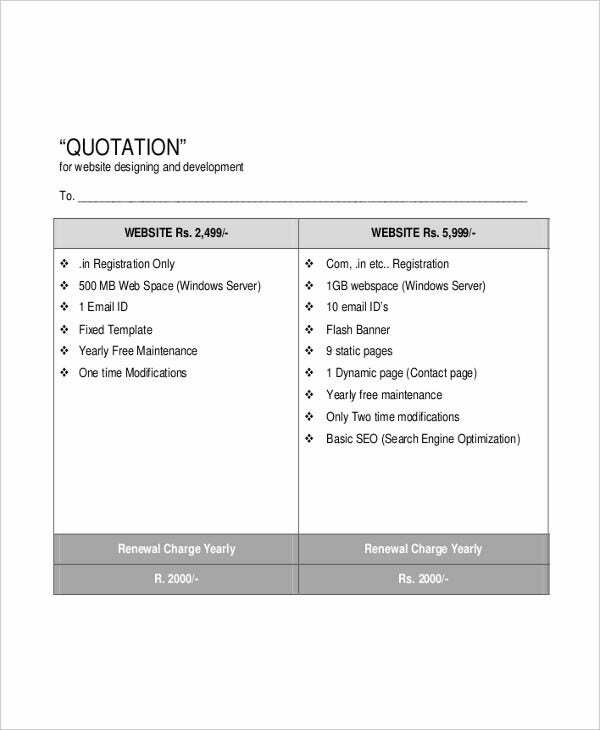 Regardless of the ready availability of various forms of free quotation templates on the web, there are those who prefer making their own quotation. Here are the steps on how to make one using MS Word. Begin by creating a new document in MS Word and put some immobile header content. Then, click on the Insert Date and Time button in the Text Ribbon group. Choose a format and click OK.
Add the receiver’s name and address to the quotation. Open the Quick Parts drop-down button that is on the Text Ribbon group button and select Field. Select Merge Field as the name type on the Mail Merge option. Click OK to confirm. On the Insert ribbon tab, insert a table with 4×4 size using the insertion wizard. Define the repeating block on the template as the final step. This is defined by a bookmark at the start position and there should be one at the end section of the block. For you to see the quotation bookmarks in MS Word, you need to open the Word Options, choose Advanced and click Show bookmarks. 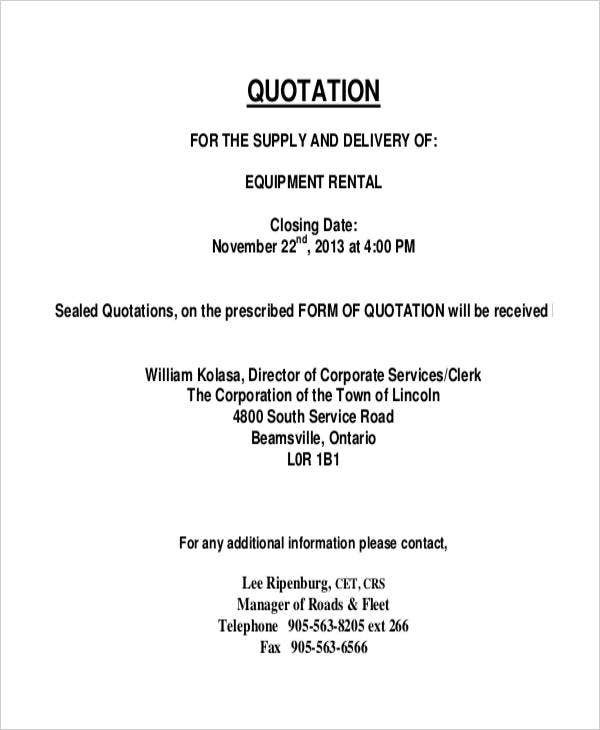 Your quotation template is now ready. Though you already have the steps, it pays to have an easier way in having a quotation. And our templates are probably what you need. 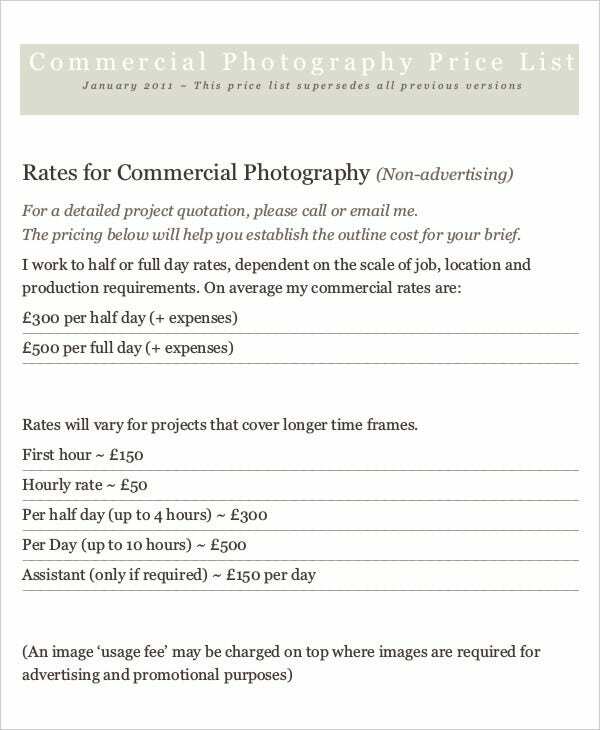 Check them all out so you can be assured of getting the best document for your business. 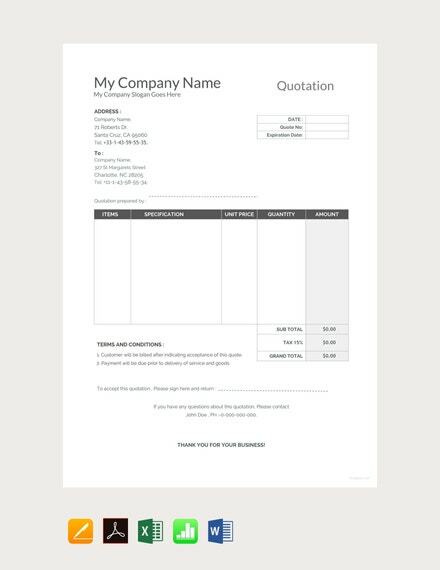 You may also see Sample Business Quotation Templates.